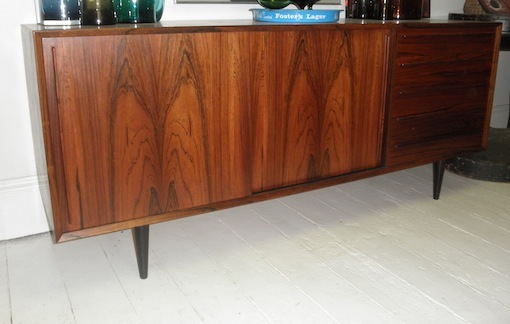 Danish rosewood sideboard with sliding doors and bank of drawers with styled handles. 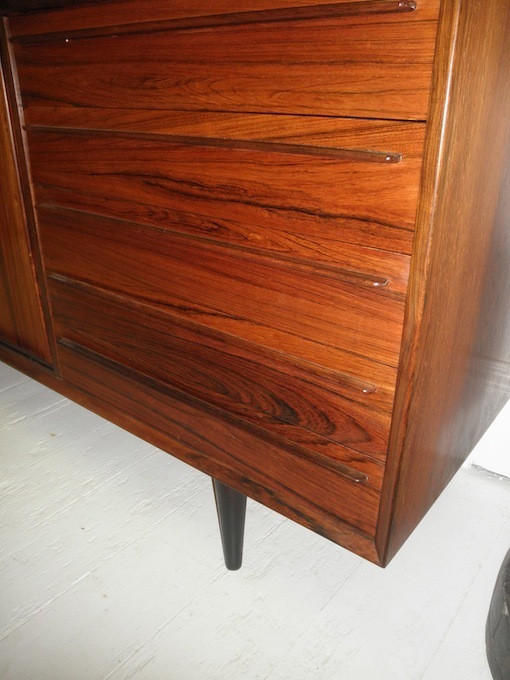 Beautiful cuts of rosewood and deep rich colour make this a very desirable piece. It is a perfect size for a television unit and has great storage possibilities elsewhere. Circa 1960s.